Ipracell, as a dedicated production business unit has gained expertise in broad range of cell culture methods. Whatever the origin or the standard behavior, we will be able to get the best from your cell line! Equipped with last technology time-lapse imagers (Cytonote series), Ipracell is able to provide the best follow-up on adherent cell cultivation during pre-culture steps in flasks. Production is performed using Hyperflask, cell factories or microcarriers in spinner or bioreactor depending the production scale and the application. Please feel free to contact us to discuss your specific need. 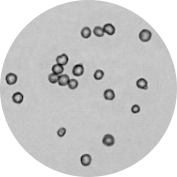 Equipped with last technology acoustic filter and online biomass probe, Ipracell is able to produce biologicals at the scale you need. Equipped with 4 "bioreactor production units" implementing each batch, fed-batch or perfusion we implement any kind of feeding/perfusion control strategies in addition of temperature, agitation, pH, dO2, foam,... regulations. Cell harvest are performed in exponential growth phase and are treated quickly until snap freezing of the final products. Automated dounce systems allow a incredible quality and reproducibility between production lot. 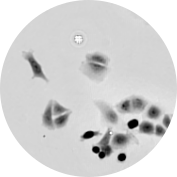 We routinely prepare nuclei, cytoplasmic extracts, nuclear extracts, S100 cytoplasmic fraction and mitochondria but are of course open to implement your own protocol to prepare your cell extracts.